Located on Qingyang Road, Chengguan District, Lanzhou, Dongfanghong Square is the largest urban central square along the Western Silk Road with a long history. The square features profound cultural heritage and developed business. 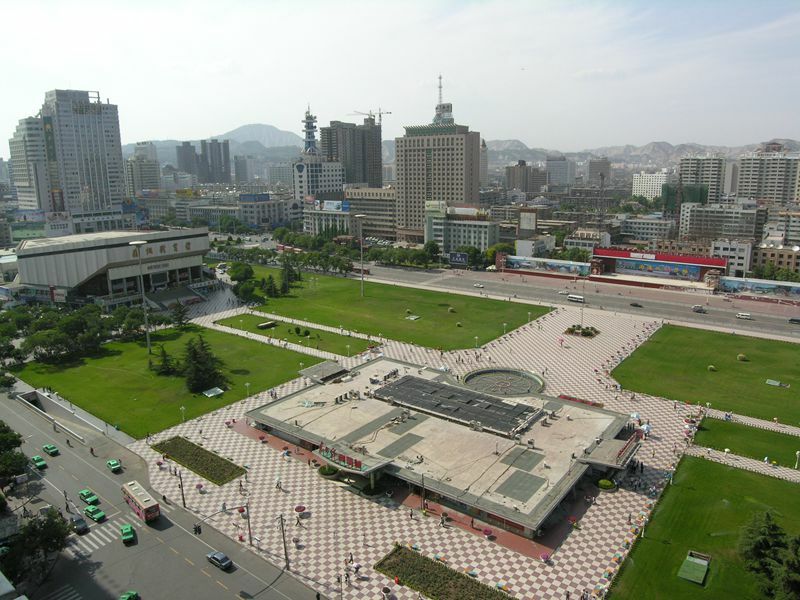 As one of the landmarks in Lanzhou, Dongfanghong Square offers an underground shopping mall with an area of 5 hectares. During the daytime, you can feed the quiet and lovely doves. They aren’t afraid of human beings at all. You will see many locals enjoying various kinds of activities at the square. In the evening, many elders will dance freely to the fullest at the square. If interested, you can wander through the underground shopping mall. Besides some luxury articles, you can also find the local handicrafts there. If you would like to feed the doves, the best time to visit Dongfanghong Square is during the daytime. If you are interested to enjoy the dancing by the elders, the best time to visit is in the evening. The best months to visit the square are from April to October. There are several buses passing by the square. Therefore, there are several options. Rent a vehicle to the square. This is the quickest and most direct option. Take Bus 2, 9, 56, 117, 142, 144 and Bus 302 to the Stop of Guangchang Nankou (广场南口站). Please take care of your valuables and your kids when feeding the doves at the square. Interested in visiting the Dongfanghong Square on a Tour? Wendy Wei Tours offers a variety of different packaged tours as well as custom tours including the Dongfanghong Square, among other attractions and destinations. To find out more, please visit our Tours page or Contact Us directly to find out more.